Luxury AND safety live here in Ashland! 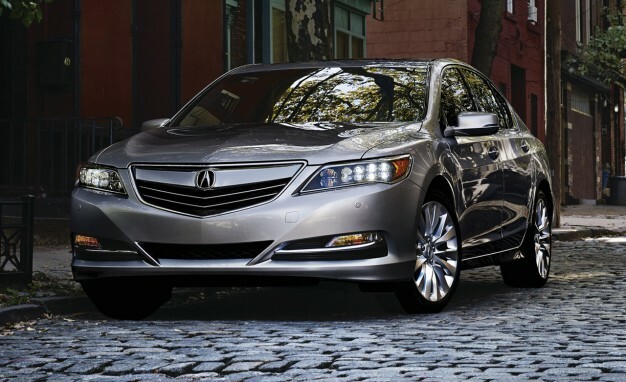 Acura took another step in solidifying its reputation as the safety leader and innovator in the luxury segment with the addition of the Acura RLX to its increasing list of models earning a 5-Star Overall Vehicle Score, the top available rating in the U.S. Government’s New Car Assessment Program (NCAP). The safety rating, which includes five star ratings in all six crash test ratings and a five-star rollover resistance rating, applies to both the 2016 RLX and RLX Sport Hybrid. In addition to the RLX, Acura has earned top safety ratings from the National Highway Traffic Safety Administration (NHTSA) and the Insurance Institute for Highway Safety (IIHS) TOP SAFETY PICK+ rating for the TLX performance sedan and MDX luxury SUV, which are each equipped with the exclusive AcuraWatch™ suite of advanced safety and driver-assistive technologies. AcuraWatch™ has expanded to every model in the Acura lineup for 2016. Available on all trims and standard on the Technology and Advance packages, the RLX now includes AcuraWatch™, a comprehensive suite of safety and driver assistive technologies that help to improve the driver’s situational awareness and, in certain circumstances, intervene to help avoid a collision or mitigate its severity. AcuraWatch™ includes Acura’s Collision Mitigation Braking System, an autonomous emergency braking (AEB) feature that the NHTSA recently announced would be added to its list of NCAP recommended safety features. The luxury sedan features the first U.S. application of Acura’s Surround View Camera system, which provides a 360-degree image of the area around the vehicle. Assisting drivers with critical and precise driving and parking situations, the system employs four cameras to seamlessly create a composite bird’s eye image to provide the driver with information about the surroundings. The cameras can also provide singular views behind, in front, to the left and right of the vehicle. Dynamic guidelines are displayed on the navigation screen to help the driver see their projected path relative to the lines demarking parking spaces or other objects, allowing them to maneuver with greater confidence. The 2016 RLX flagship luxury sedan has also received significant chassis tuning refinements to enhance ride quality and has upgraded to 19-inch wheels that are standard across all trims. Best of all, despite all of the additions to the 2016 model year, the manufacturer’s suggested retail prices (MSRP) of the 2016 RLX remain unchanged from the 2015 model. The 2016 RLX Sport Hybrid, which features a three-motor Sport Hybrid Super Handling All-Wheel Drive (SH-AWD) system with electrically powered torque vectoring, goes on sale this summer. We’ll keep you posted on when the newest addition in safety and luxury arrive on our lot! « Breathless. Stunning. There are no words. The All New Acura NSX.